Congrats to Our First Class of Apprenticeship Grads! Six months ago, around 30 Hubbers embarked on an epic online writing journey, forging a path on HubPages that would shape the experience of many Hubbers to come. This team of Hubbers, which goes by the name Scribe Tribe, started out as a secret beta team and helped us refine what became the HubPages Apprenticeship Program. As the first Apprenticeship team, the Scribe Tribe taught us as much as we taught them! Today those who made it through the rigorous Apprenticeship Program for six months in a row are graduating, and we would like to celebrate their significant achievement! Though it is already no small feat to publish a minimum of eight high quality Hubs every month (while also going through lessons and helping out fellow team members), yet many Scribe Tribe team members consistently exceeded the program’s requirements, going above and beyond with truly stellar Hubs and even themed challenges to rally the group and make the online writing process all the more creative and fun. If you would like to apply to the Apprenticeship Program, read through the program’s qualifying requirements, then apply through the Apprenticeship tab in My Account. Participating in the Apprenticeship Program is a great way to develop a strong online brand and portfolio, and we recommend it to anyone who would like to kick their online content career up a notch. Congratulations to all of you! That is a marvelous achievement. Congratulations to all of the trailblazers! I see many hub friends in the list. I can’t wait to be on the virtual stage with you all. I love the apprenticeship program and I am learning so much. Congrats to the Scribe Tribe team! Congratulations to all that made it through the AP program. I just started 2 months ago and it is a great learning experience. Bravo to all that took those first steps! Congratulations! Iknow it wasnt easy,(or it came naturally) but you all have made it through. Sincere Congratulations to all members of the Scribe Tribe. Love the name by the way. A real inspiration to all hubbers. Congratulations. You all were test pilots kinda’ and I appreciate you helping to create as well accomplish task as a Hubpages Apprentice. Some I know, some I don’t, yet as person seeking to learn and grow, I say I am proud of each and everyone of you. And, I have written down your names, so don’t run if’n I come knocking on your door with a question – smile. Congratulations to all of you! Job well done! Congratulations to all of you on your great accomplishment! Congratulations! 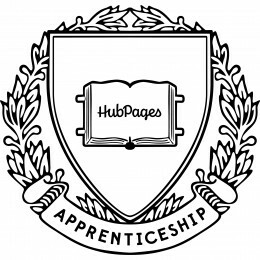 My new goal with hubpages is to also become an apprentice, can any of you graduates provide any tips or feedback on what it takes to succeed in the program? Thank you. Way to go, Scribe Tribe! Congratulations to the graduating class! I am already picking up some tips just by reading some of your hubs. Good work! When I have the time to commit, hope to join your ranks someday. Congratulations to you all on a job well done. It’s quite an accomplishment getting through such a rigorous program. Congratulations guys! I want to do it too! Congrats Scribe Tribe! You are our inspiration. I have been part of the AP and our team is called HubBuds and we are in our third month. It truly has been a rewarding experience and hats off to the pioneers. Congrats for a job well done! I hope I can also pass the Apprenticeship program. A heartfelt congratulatons to all, especially to Shanna11. I am a devoted fan of her wonderfully informative hubs. Congrats to you all. What an achievement. It’s prove that we all, if we put her heart in it, can do it. Wow, what an amazing accomplishment. Congratulations to all! Congratulations to Scribe Tribe! Our team has just crossed the halfway mark (in month four). Thanks for being the beta testers for this wonderful program – here’s to continued upward momentum in readership from here on out! Great Going Scribe Tribe! I know this is not an easy task. I hope I make it to the end as I know it is well worth the hard work. Congratulations to all of you. Congrats for an amazing accomplishment and a job well done! Congratulations to All achievers !!! Congrats to the first graduating class!!! I think it’s a wonderful accomplishment, and I hope all of your hubs are successful. Fingers crossed I shall also be graduating in just under two months. Congratulations, this is pretty cool. Hope you enjoy! Congrats to all, I’m considering taking the plunge myself. I will be stalking some of you to get pointers and assistance..I can’t wait to meet and greet with you! Congratulation for this great achievement, it is really an Proud to achieve this…….. Congratulations!! I bet it was an amazing experience. Job well done! !